I just have a quick question on 3-D shoot attendance. We are a Bowhunter club that has been putting on tournaments for a long time, 20 years ago we had on average 200 archers at our tournaments. Now we are lucky to pull in 50 to 60. My question is: Is it a regional problem, we are in SW Iowa, and the 3 clubs in our area are all struggling to get shooters. Or is it just a participation issue, just not a lot of folks doing it anymore? I know the whole "everyone is busy"," kids have hobbies" and so on mantras. We went from a 40 target course to a 30 target course trying to make it a shorter amount of time for the shooters convenience, with really no noticeable increase or decrease. And No there isn't a P/Y buck behind every tree here in Iowa ! I can't speak for others but most of the shoots near me are on Sunday and that doesn't work for me with church. I might be more inclined to go on Saturday but others might not share that opinion. We hear that as well from a few guy's. Our problem is we use a County Park and have to set the entire thing up on Saturday and tear it all down after the shoot on Sunday. The national ASA ProAm’s are having record numbers. Sure. In TX there is a qualifier somewhere pretty much every weekend there is not a ProAm or holiday. Some shooters are willing to shoot two shoots in a weekend but most don’t. I would venture to say that the cost of archery equipment has a great impact on current attendance and future participation. When I started we had 150 to 200 people in attendance at a weekend club shoot. There were a lot more young people in attendance then also. Now here in TX we have ASA Qualifiers almost every weekend and the club shoots are really suffering because this. The clubs do not take in as much money as they used to but they still have to have money to operate. Most clubs are kept alive by a very few dedicated members out of the total member roster and this eventually causes burn out. I guess there are various reasons for decline but I believe cost of equipment is a major concern because we are not getting the number of new shooters we need to keep moving this beloved sport forward. Overall, it seems there are more people into archery than ever before. Take my favorite public hunting spot for example; I see far more people hunting there than I did in the past. This may be due to increased access to information though. We started a 4H archery club 3 years ago, we have over 30 members and regularly have 15-20 in attendance at practice. I think the ASA qualifiers do have something to do with it, they are really gaining in popularity and it is a great place for an up-and-coming archer (under 18 years old) to get recognized and maybe pick up sponsors. Since that doesn't happen at a club shoot archers will spend their time at the shoots where they can network with archery pros or manufacturers. There are also more shoots than there used to be and shops are having leagues more often. I could shoot an indoor 3D league every Monday night, and three 3D shoots a month within an hour of my house. And another shop is building a bigger building to hold leagues to include indoor 3D. One other thing may be Olympic Style Archery is more popular than ever as well. In the past most would start with compound and then move to Olympic but I see more and more starting with, and sticking to, Olympic Archery. It is going to take some creative, and probably collaborative, thinking to keep 3D club shoots relevant amid all the options that are available today to archers. Something our 4H club is doing is a buckle series at the end of Summer. We have three clubs participating, and three tournaments will be held with cumulative scoring; winners will be awarded really nice buckles (as well as regular trophies). Things like this will help to bolster attendance at 3D club shoots, I hope. How many clubs 20 years ago had shoots on a regular basis? There were three legs to many of the shoots (which was an reason to go). In Abilene we use to draw a lot of DFW shooters. They have many more options closer to home now. The greater the number of clubs the less people have to travel. Some clubs that are not in an area with a large number of shooters are going to suffer. Great points by all, Thank You !! So much of the responses are the same as we have been throwing around. The equipment has came so far in 30 years, it takes less time to be proficient. Even here the Trad guy's as well as the Gal's are less all of the time. It use to be a family event where they would come and spend the day. We have archers in the area that shoot IBO ASA and so on, but they come once a year maybe. We try to attract the archers more geared to a hunting situation, but try to accommodate everyone. My son and I do a lot of competion. Mostly ASA 3D and Outdoor Field Archery. I probably have around 10 good friends and family members and I am the only one that does 3D. Had my older son not got me into it I probably never would have done it either. I am really glad he got me into it and it has definitely made me a better archer, but if he didn't do it I wouldn't probably make very few competitions if any... I would be doing whatever he and my younger son are into. All that to say in my age group (parents with kids under age 18) you probably aren't going to get very many new shooters in. People with kids are just too busy on weekends. I would follow the ASA model. For kids they have a lot of known range divisions, not crazy long shots, cater to kids, etc. They also have a lot of known range divisions for adults as well. (Do everything you can to bring kids to the shoots and hopefully some parents will follow). I would also host as many ASA shoots as you can and when not having an official ASA shoot follow their guidelines. I don't think you are going bring in a lot of new shooters so bring the shooters to you that are doing it. In our area people will travel for ASA Qualifier shoots. I meant to say I have 10 good friends and family members that bow hunt and I am the only one that does 3D. In our area at least it just seems like it is tough to get big crowds for shoots unless it is an ASA Qualifier. Like already has been mentioned there is quite of few local shoots around and they always seem to be around 40-50 people at those. I only see the really big crowds when it is an ASA shoot. It might be easier to get shooters to travel to you then to get people who have never shot 3D to start doing it. That depends on who you talk to and what style they like. I think all formats are seeing an increase but the clubs are not. That may be due to the reasons listed above. It may be due to kids playing other sports. I do know that S3DA is growing faster than anyone could have imagined. I know that clubs that join them see tremendous growth as well. When kids join, the parents follow. Clubs that can offer a certified level coach are well ahead of the curve. Lots of people want to shoot archery but finding an instructor that isn't Uncle Buck is darn tough. Clubs cannot due things the way they did 20 years ago, with a "build it and they will come plan." 3D is growing, but at the club level, you are competing with big money payouts elsewhere. Our club shoots attract people who just want to have a family fun day and the majority of our club members don't compete, they just want a place they can come practice. I believe known distance will take over. 30 pro shooters at a national event is 1/2 what you saw before. 100 plus in known now. Guess it's the path of less resistance and those that do not have time or a place to shoot on a regular basis. I'll stay a little longer and see where it all goes. Yes, 20 years ago we often saw 75-100 shooters. But times have changed. I agree with Pistol - clubs have to change and adapt. Our club still has relatively high monthly club shooter turnout - 50-60 shooters. 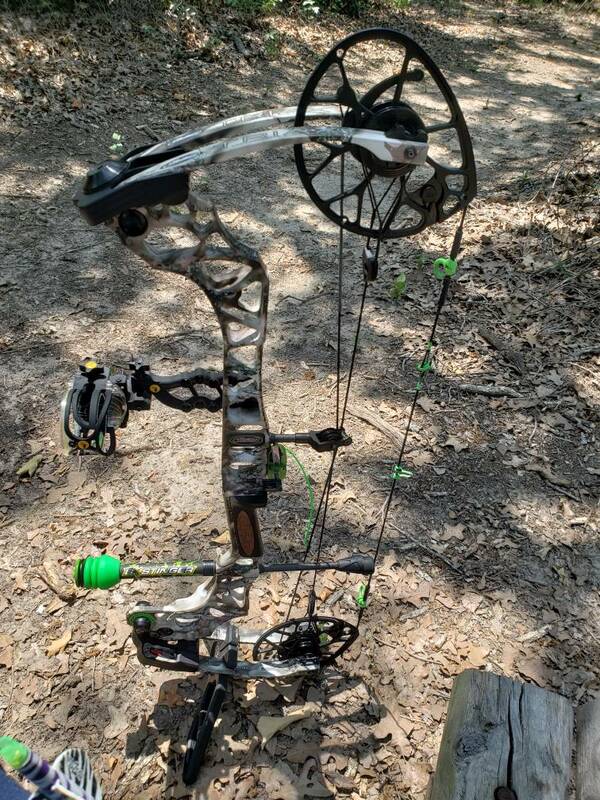 We now encourage and support lots of other venues - Traditional Bowhunters of Texas, ASA, The Deerman, charity shoots, 4H, boy and girl scouts, S3DA, and everything we can identify. These are often the venues that decrease club shoots, so we encourage them to come to our club. So in short - 3D participation it up, but so is competition for those shooters. Thank You everyone for the responses and keep them coming. We are a very small club 16 members and were not spring chickens if you know what I mean. With the rules and costs accompanied with a big sanctioned shoot it's hard for us to pull off. Hope you all had a great turkey season. I used to shoot regularly. I even traveled to shoot the LSBA series. Then kids happened. I still have not gotten back into it yet. My wife and I have run the Texas ASA Federation for the last 12 years (we retired after last season). During that time the Texas ASA Federation became the largest (most attended, most clubs, most shoots) ASA Federation in the nation. We still have shoots that exceed 200 shooters with a state championship last year (2017) that had 351 shooters. It is hard to compare our success with other states because we have developed a huge ASA following where other states have a very small or no ASA following. Strangely enough my wife and I are moving to southern Iowa in the next few months. We have a small farm southwest of Bloomfield, Iowa in Davis county. We are going to start the first ever ASA Federation in Iowa and have shoots on our farm. We also have several other Iowa clubs interested in hosting some ASA events. Its going to be a challenge as I have found that many shooters in Iowa do not even know what ASA (Archery Shooters Association) stands for much less the type of format that we present. We already have a husband and wife team that shoots the ASA national events on board as our Iowa state representatives. My wife and I will be the Iowa state directors. It only makes sense that Iowa has an ASA Federation. The title sponsor for ASA (Delta/McKenzie) is based in Dike, Iowa. For many years Delta/McKenzie was in Reinbeck, Iowa until their plant was destroyed by a fire. It is strange that there has never been an ASA local (state level) or national event of any kind in Iowa. We are going to work closely with ASA and Delta/McKenzie to promote a state level ASA program in Iowa. We do not aspire to make the program as huge as the the Texas ASA Federation, but we do want to give the Iowa shooters an opportunity to experience the ASA format. We will be shooting 20 targets at our state qualifiers. Shooters may shoot either Saturday or Sunday. We hope to have a couple of bi-state qualifiers with Missouri which already has an ASA Federation. We may only get 20-30 shooters starting out but that is okay. We will work to slowly grow the program in Iowa. Your club may want to get involved as well. PM me for my phone number and more information about the Iowa ASA Federation. Last edited by Arrowsmith; 05-30-2018 at 03:35 PM. The last time I saw it really drop was when the economy crashed in the late 2000's. If the gas prices continue to climb, I'd be willing to bet you will see a proportional decrease in folks driving very far to shoot. It's fun, but once it's hot and it costs too much it takes the fun right out of it. I believe your right cuttingedge. We just hit 2.75 a gal here so it adds to the cost for sure. My .02 is that the "professional" shooters are pushing out the regular bowhunters. My first shoot after moving to TX took 4+ hours with no real breaks. Since then unless I have absolutely nothing else going on I avoid them. The club I belong to is in the dallas area and from what I have seen unless there is a qualifier or deerman going on they struggle to hit 20 shooters. I think the regular bowhunter who just wants to spend time with family or friends and shoot to get some practice doesn't want to stand around and wait at every target. I would agree with the above statement. In full disclosure, I shoot trad, and we tend to shoot much faster than our Compound brothers. I can usually shoot two rounds of 3D at a trad only shoot in the same time it takes to shoot 1 round at an Open 3D shoot. I can honestly say that I have skipped on attending a few shoots when I know that there will be a lot of "semi-pro" compound shooters there. It just takes way to long. Don't get me wrong, I'm not trying to sound like a snobby Trad guy. I don't care what kind of bow you shoot, no judgement, if you shoot reasonably fast and keep the course flowing... we are good. IMO there should be time limits and group sizes should be reduced for the really long stabilizer people. I'm not only saying this because it slows me down, it also hurts the local clubs. Take down is delayed and less members are willing to hang around to help with take down. If I'm done at say 11am why would I wait till 3:30 to take down. Technically there are already time limit rules in most, if not all 3D organizations, but unfortunately I seldom see them enforced. we struggle to get 20 it seems at a monthly shoot. That number may be low, but not by much. A lot of guys I know just hunt and shoot their block target at home. I would shoot more 3D if it was more convenient. Just being honest. I go to shoots primarily to hang out with folks on here that I only get to hang out with at 3D shoots. I also shoot trad and have met most folks on here at 3D shoots. The problem is, it seems the closest shoot is an hour away and often times 2 hours away. That means if I am shooting a round, I am already investing in up to 4 hours of a weekend day to just travel. Hard to do with a family that isn't really into shooting, etc. I'd almost rather there be a 15 shot round on a weekday evening... because weekends seem to be more precious than weekday evening... but then it would have to be close. I love shooting in them, but just don’t have the time to dedicate an entire Sunday to them. The closest ones were Fredericksburg or Canyon Lake for me, I’d leave at 9:00 a.m., and not get home until evening. The cons outweighed the pros for me. Are you not allowed to play through in 3d archery?, thats common courtesy in golf if someone in behind a slower group. I have to agree its in decline from what I saw on two shoots this weekend, not near the #'s there used to be. Very few shooters. we shoot deermen and most rigs are hunting rigs we do shoot the asa also but have to say the deermen seem more layed back and less pressure. beararcher you are so correct on the r100 me and my daughter go caught up by that group we skipped the target just to get in front of them. I think we let you jump in with us on a few targets so you could get ahead of them and us. I for one hate being slowed down but also hate slowing down. My 10 year old hold what seems like for ever trying to make the perfect shoot. For me atleast yes I am giving up most of the day to shoot but lucky for me unless my 16 year old has something else going on I am shooting as a family just missing the wife but canot get her to shoot. Probably is u,yes. I did shoot with a gentleman and his young daughter. She was talking about u getting a motorcycle? You wouldn't be competing with them though.. So why is that unfair? the fact that they have lenses means they are shooting a different class than you. As I understand it. So you aren't competing with them.